Another missed mortgage payment. This monthly anniversary is something that you and tens of thousands of Americans find little reason to celebrate. And while the rate of foreclose has leveled somewhat since the crisis a decade ago, the process continues to challenge Florida homeowners like you who seek to keep the American Dream alive. Whether you are looking to negotiate a modification to your mortgage, file a complaint with the attorney general or simply need time, you need direction. Maybe you have been a victim of fraud. Attorney James Collins creates a plan of action for you that cuts through a system often fraught with corruption and red tape to streamline processes, ensure that the law works for you in the way it was intended to and leaves you with peace-of-mind. Foreclosure can often be a symptom of larger issues related to a loss of job and income. The merciless calls from credit agencies are an ongoing reminder that more dramatic measures may be required to settle financial shortcomings. Mr. Collins understands that bankruptcy is not a reason for shame. He will craft an effective solution by reviewing your income, debts and assets and define whether bankruptcy, and which kind, may be in your best interest to achieve your financial goals. Mr. Collins has been fighting for the “little guy” in Florida for some two decades. 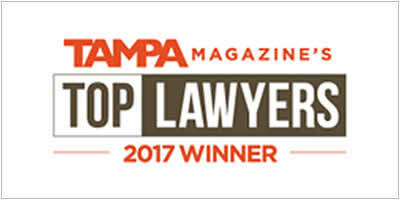 And although his focus is on bankruptcy and foreclosure litigation, Mr. Collins is a versatile practitioner and negotiator who has stood up to big banks and insurance companies in defense of individuals injured on the job or in automobile accidents, and private-practice doctors, small business owners and home owner/condominium associations seeking claims or reimbursements. He began defending injured workers in 2011, who were often left to deal with financial crises due to employers/insurance carriers failing to timely honor their statutory duties to provide medical benefits and lost wages to the injured workers. After 2003, the rights of injured workers to obtain adequate medical care and legal representation were severely impacted. While Mr. Collins continued on fighting the good fight on workers’ behalf for some time, he began to focus on foreclosure litigation and later bankruptcy. These complex disputes all demand simple solutions. Mr. Collins is passionate about law. He has a proven history of helping good people find answers to what may appear to be helpless situations. The Tampa Bay Business Journal recognized Mr. Collins among “People on the Move.” Mr. Collins is an emphatic ally to his clients. He understands the nuances of law, but interprets questions – in English, Spanish and Portuguese – based on facts rather than emotions. 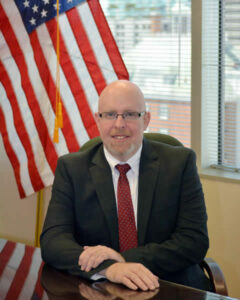 Since early in his career, Mr. Collins has been a passionate defender for people who cannot represent themselves. He became a member of the Florida Bar Association after earning a Juris Doctorate of St. Thomas University School of Law. He is licensed in all districts of the state of Florida, all three Federal Courts and the middle district of Florida bankruptcy court. He holds a Bachelor’s Degree with honors in Criminology and Law from the University of Florida. Mr. Collins recognizes that foreclosure or bankruptcy do not have to be the end of your world. Hiring an attorney to achieve what you want, and are entitled to, should not be a dreaded reaction to what may seem like a dire and helpless situation. Choosing a skilled attorney can be a proactive step toward establishing a new beginning based on sound and prudent arguments on your behalf.